Michael Francis Britton is also a Member of the HumanDHS Board of Directors, Global Advisory Board, and the HumanDHS Global Core Team, as well as Co-Director and Co-Coordinator of the HumanDHS Stop Hazing and Bullying Project. He is the HumanDHS Director of "Global Appreciative Culturing." Concerned with integrative thinking across neuroscience, in-depth psychotherapies and historical/cultural living, Michael Britton's work looks at how participation in the historical life of our times and interior life are deeply intertwined. His earlier research looked into experience by US military in planning and commanding nuclear weapons in the Cold War; kinds of parenting that help children grow to do well in love as adults; kinds of parenting that make it harder for battered women to take action on their own behalf; and psychological attitudes towards existing and hoped for worlds reflected in traditional, modern and postmodern architecture. Michael provides workshops for therapists to think about mature love and how patients are helped to get there within themselves, within relationships, and in their co-responsibility for sustaining love in the larger world. He is very concerned with supporting a culture of appreciation for what we can learn from each other, i.e. open societies rather than totalitarian, as the basis for global life. He is currently focused on the demands for psychological adaptation posed by global life and is working on two writing projects that invite taking up those challenges. The first is on weapons of mass destruction and the psychological challenges involved in creating global safety. The second is on understanding what global life requires of us as illuminated by understanding the human brain's place in evolution, its multi-layered inclinations for rendering history in the present, and the choices among those inclinations that we face as we go about the business of everyday work as adults in the institutions of our societies. He writes (May 15, 2007): "When someone has written ideas or a paper, I am good at responding to them with warmth and appreciation for the work they've done, giving very specific reactions and associations I have, and asking questions, in regard to the points they make in their work. In this way I hope to be an encourager of the author/thinker/person-who-dares-to-care, so they feel a welcoming, affirming regard for the work through which they themselves are engaging the world. I do this when I genuinely appreciate and/or am intrigued by what someone is doing/thinking, so it is very much a pleasure for me to offer what I hope is an encouraging conversation. I enjoy this and hope at times it leads to little dialogues, as I like to follow trains of thought and possibilities for practice through these connections/conversations."  Conversation Between Harsh Agarwal and Michael Britton on Ragging, 2007.  Finding the ‘Right’ Moral Tone Regarding Climate Change And Travel, 2007.  Weapons of Mass Destruction, in Christie, Winter, Wagner (Ed.) Peace Conflict and Violence: Peace Psychology for the 21st Century. Englewood Cliffs, NJ: Prentice Hall, 2001.  Transforming Myths of War to Create a Legacy of Peace, in V. K. Kool (Ed.) Non-Violence: Social and Psychological Issues. Lanham, MD: University of Press of America.  Adults' Perceptions of Childhood Experiences of Parental Love As Predictive of Stability and Levels of Enjoyment in Adult Relationships. Doctoral Dissertation. Ann Arbor, MI: University Microfilms International (Order Number 9004433), 1989. Evelin Gerda Lindner is the Founding President of the Human Dignity and Humiliation Studies (HumanDHS) network and initiator of the World Dignity University initiative. She is a transdisciplinary social scientist and humanist and holds two Ph.D.s, one in medicine and one in psychology. In 1996, she designed a research project on the concept of humiliation and its role in genocide and war. German history served as starting point. It is often assumed that the humiliation of the Germans through the Versailles Treaties after World War I was partly responsible for the Holocaust and the Second World War. It seems therefore important to understand the nature of humiliation and how it is related to the occurrence of genocide and mass violence. core not only of genocides, but also of current events such as the "war on terror," American questions such as "why do they hate us," or whether combating poverty would reduce terror or not. Lindner is currently primarily concentrating on writing planned book/s and articles on humiliation, as well as establishing Human Dignity and Humiliation Studies as an international platform for further work on humiliation. Linda M. Hartling, Ph.D., is the HumanDHS Director, and a Member of the HumanDHS Core Team, the HumanDHS's Research Team, and HumanDHS's Education Team. She is also a Member of the Editorial Board of the Journal of Human Dignity and Humiliation Studies (JHDHS). Linda M. Hartling is the recipient of the Association for Creativity in Counseling Research Award (see the slides of her acceptance talk). Linda is affiliated with the Jean Baker Miller Training Institute (JBMTI) at the Stone Center, which is part of the Wellesley Centers for Women at Wellesley College in Massachusetts. Until 2008, she was its the Associate Director. Dr. Hartling is a member of the JBMTI theory-building group advancing the practice of the Relational-Cultural Theory, which is a new model of psychological development. In addition, Dr. Hartling coordinates and contributes to training programs, publications, and special projects for the JBMTI. She holds a doctoral degree in clinical/community psychology and has published papers on resilience, substance abuse prevention, shame and humiliation, relational practice in the workplace, and Relational-Cultural Theory. Dr. Hartling was coeditor of The Complexity of Connection: Writings from the Jean Baker Miller Training Institute at the Stone Center (2004) and author of the Humiliation Inventory, a scale to assess the internal experience of derision and degradation. Judit joined Barnard College in August 2016 as the college's ombuds officer. Prior to that Judit worked as a Consultant Case Officer at the United Nations Office of the Ombudsman for Funds & Programmes (UNDP, UNFPA, UNICEF and UNOPS), providing services for those whose want to resolve their workplace related conflict within the informal conflict resolution system. In 2007 Judit received her Master of Science in Organization Development from the American University and the NTL Institute joint program. Prior to that, she graduated from ELTE School of Law Budapest, Hungary in 1998 and practiced litigation and corporate law for a year in Hungary. She then studied conflict resolution and mediation at Columbia University, Teachers College, in New York in 2001. Judit subsequently worked as a mediator in New York on cases referred by the Small Claims Court. In this capacity she experienced how mediation actually fulfills the deepest meaning of conflict resolution for all parties as opposed to only litigation. She also worked as a facilitator on numerous conflict resolution courses and trainings at Teachers College and at the United Nations. She has been involved with Human Dignity and Humiliation Studies since its inception, as its NY resident, and kindly taking upon herself the important role of the HumanDHS website contact person. Annette Anderson-Engler, Ph.D., is a Member of the HumanDHS Global Core Team, the HumanDHS Education Research Team, our HumanDHS Research Team, and our Global Coordinating Team, generously offering to support us in nurturing the relationships in our network. We call this relationship-building work "Global Appreciative Nurturing"! Beatrice Jacuch is also a Member in the HumanDHS Global Core Team and Editor of the World Language for Equal Dignity project. She is a clinical psychologist currently interning at the Prague Psychiatric Center in the Czech Republic where she provides psychotherapy and assessment. She received her Masters degree in clinical psychology from the Leiden University in the Netherlands. Her dissertation was on psychological resilience to terrorism and combat trauma in a sample of civilian and military personnel in Iraq. The aim of this study was to discover and identify factors that contribute to increased resilience. The study, led by Anne Speckhard, is still ongoing. For several years Beatrice has worked on various research projects investigating issues such as: trauma , posttraumatic stress disorder in Holocaust survivors, terrorism and its psychological consequences, and fostering resilience to terrorism. In Prague, next to research and clinical work, she volunteers for Amnesty International. Sharon Burde, a mediator for over two decades, believes that a multi-cultural society with equal access to power and equal assumption of responsibility is the only way to achieve true democracy. Sharon Burde teaches graduate students at NYU and is a member of the Steering Committee of the CUNY Dispute Resolution Consortium. In former Yugoslavia she has worked with women of all ethnic origins to create new multiethnic programs and models. She furthermore worked with Neve Shalom/ Wahat al-Salam for ten years - with Palestinians and Israelis in support of models that promote peace and justice. Neve Shalom/ Wahat al-Salam means "Oasis of Peace" in Hebrew and Arabic. It is a village, where an equal number of Jewish and Palestinian families live, work and educate their children in a community of peaceful co-existence and equality. Sharon is particularly interested in the Wahat al-Salam dimensions of deeply rooted conflict. Please find here The Enigma of the Middle East - A Measure of Success by Sharon Burde, in Newsletter of the Conflict Resolution Center International, January 1998 pp. 27-28. Corinna Carmen Gayer is also a Member of the HumanDHS Research Team. Eric Van Grasdorff is a Member of the HumanDHS Board of Directors and the the HumanDHS Global Core Team. He is a Political Scientist and has graduated from the Free University of Berlin, German, on the topic African Renaissance and Discourse Ownership in the Information Age (2003). Born and grown up in Dakar, Senegal and later in Germany, he has very early in his life developed an intercultural identity. Eric Van Grasdorff has been a Core Team Member of the Cameroonian NGO AfricAvenir and currently the Chairperson of its German section in Berlin. Additionally to being the Content Manager of both the HumanDHS and the AfricAvenir websites, he is currently building the Internet platform on Diversity Management for the German Heinrich Böll Foundation. Eric organised the 5th Annual Meeting of Human Dignity and Humiliation Studies in Berlin in 2005. His research interest include ICTs and International Relations, the Development/Postdevelopment Debate, Africa, African Renaissance and International Relations and Globalization, Transnational Corporations and Social Responsability in Third World Countries. Zahur Ahmed Choudhri was also a Member of the Global Advisory Board, and the HumanDHS Global Core Team. Zahur Ahmed Choudhri, provided his services to the government of Pakistan for more than three decades. And he recently retired from his position as a Director (Research), National Centre for Rural Development & Municipal Administration, Government of Pakistan. While being working for the government of Pakistan, he acted as a team-leader for several research projects with international organizations, i.e. UNICEF, UNCRD, UNDP, LOGOTRI-UNESCAP, FAO, ILO, SAARC, IFAD, CIRDAP, APO, AARDO and IUCN. Mr. Choudhri is also in the visiting faculty of couple of national universities in Pakistan, and sharing his life-long development sector experiences with the students of rural sociology, forestry and rural development. He has also been writing on ranges of issues and also has co-authored two books. Both books are looking at the notion of development through the lens of Islam, mainly answering the very crucial question, how various concepts and approaches of Islam teaches for development and peace from individual to a state and global level. Rebecca Ann Klein is also a Member of the HumanDHS Global Core Team and the Education Team. She is interested in creating effective, culturally sensitive nutrition programs within the field of Public Health. She is currently a student at Tufts University, working for a Master of Science in Food Policy and Applied Nutrition, with the aim to gain skills to run international health projects, and/or work with the politics and policies that affect the global food supply. She also takes classes at Tufts' school of International Law and Diplomacy. Earlier, Becca completed a year of volunteer service through the AmeriCorps* VISTA program where she spent her time coordinating a teaching garden with Oregon Food Bank serving Washington County in Hillsboro, OR, USA. She has traveled extensively and is eager to do more. Becca is a graduate of Hampshire College in 2001 with a concentration in Nutritional Anthropology. DONALD C. KLEIN † June 8, 2007, yet always with us in spirit! Donald C. Klein, Ph.D., was also a Member of the HumanDHS Board of Directors, the HumanDHS Global Advisory Board, the HumanDHS Research Team, and the Global Core Team [...] He was Professor Emeritus of the Graduate College of The Union Institute & University, which offers an innovative non-residential doctoral program for working adults. Don Klein has been one of the first to explicitly examine and write on the humiliation phenomena. His first publication on humiliation goes back to 1991 (Journal of Primary Prevention on the Humiliation Dynamic, Vol 12, no. 2, Winter, 1991; Vol 12, No. 3, Spring 1992). Tonya R. Hammer is also a Member of the HumanDHS Global Core Team, and the HumanDHS Research Team. Dr. Tonya R. Hammer is an Assistant Professor of Counseling at Oklahoma State University-Tulsa. In 2008, she received her PhD in Counselor Education and Supervision from St. Mary's University in San Antonio, Texas, with an emphasis on Relational Cultural Theory and Social Justice. Her master's degree is in Psychology and Counseling from the University of Mary-Hardin Baylor. Dr. Hammer is actively involved in her professional organizations including serving on the board for the Association for Lesbian, Gay, Bisexual and Transgender Issues in Counseling, a division of the American Counseling Association. Dr. Hammer's research includes the areas of humiliation and language particularly with regard to marginalized populations, relational cultural theory, and the area of professional identity and competence in the counseling field. Dr. Hammer has written on issues impacting women both as clients and as professionals. Her research and areas of interest with regard to women include controlling images in film as they pertain to women's career choices and mentoring of female faculty in counseling education. Her work as a professor and a counselor is directed by relational cultural theory (RCT). In that regard she has worked with Alexander Street Press and Microskills Training to produce a training video on RCT. Her clinical work has included work with children and adolescents ranging from pre-K through high school. While she worked with both boys and girls, a majority of her emphasis was on working with adolescent girls dealing with relational aggression and body image. Since that time she has also done private practice as a contract therapist working with men and women in areas of depression and anxiety as well as relational issues. In 2008, Tonya finished her doctoral dissertation entitled: Myths, Stereotypes, and Controlling Images in Film: A Feminist Content Analysis of Hollywood's Portrayal of Women's Career Choices, at the Counselor Education and Supervision department at St. Mary's University, San Antonio, Texas (the dissertation can be ordered through ProQuest). She summarizes her disseration as follows: "Myths, stereotypes and controlling images are imbedded in cinema. Women can be disempowered and marginalized by these images and it is important to explore the images found in this medium and the potential they have to affect women’s career choices. The content analysis of 81 films revealed themes including but not limited to the idea that relationships should be secondary to careers in women’s lives; women are secondary to men in the workplace; women in power are depicted in isolation; women are portrayed in traditional careers more than non-traditional careers; regardless of career choice women are often depicted in a negative light and women of ethnicities other than White are not adequately represented in mainstream media, in any area, much less with regard to career choices. Through film women are learning that they are secondary to men in one more area of society and that, in essence, there is nothing wrong with this perception." Prior to entering the counseling field Tonya was a paralegal for fourteen years. She worked as a case manager with Communities in School, San Antonio, a non-profit organization whose mission is to help students stay in school and prepare for life. Communities in Schools' main focus is working with students who have been determined by the state to be "at-risk," a classification in itself that can be humiliating regardless of the conditions that led to the labeling. Tonya's research areas also include incorporation of relational cultural theory into career counseling, the use of film in counseling, and the issues of humiliation and shame surrounding malpractice claims against therapists and clinical supervisors. Tonya writes: "My goal or vision statement for my professional career is to teach on the college level. Specifically, I would like to teach on the graduate level in the field of counselor education. I am inspired and challenged by the dialogue that is entered into in the classroom when you have a passionate educator. I want to be that passionate educator and be able to share my passion for RCT and for social justice advocacy, including the work of the humiliation studies network. I see this being done not only in the classroom but through the written word as well.... Personally and professionally I want to use every opportunity to further an understanding of Relational Cultural Theory and Social Justice. I see both as being vehicles through which we can interrupt or end the cycles of humiliation that occur in our everyday lives both on a personal and a global level."  The Global Impact of Humiliation on Relationships and World Peace, presentation proposal together with Dana Comstock to the Third International Women's Peace Conference, Dallas, Texas U.S.A., July 10-15, 2007.  The Role of Dignity and Humiliation for Myths, Stereotypes, and Controlling Images in Film, abstract presented at the 2008 Workshop on Humiliation and Violent Conflict, Columbia University, New York, December 11-12, 2008.  together with Selma Yznaga, Shunned by Difference: The Intersection of Humiliation and Discrimination, abstract presented at the 2010 Workshop on Transforming Humiliation and Violent Conflict, Columbia University, New York, December 9-10, 2010. Christopher Santee is is also a Member of the HumanDHS Global Core Team, HumanDHS Education Team, and Project Associate of the Journal of Human Dignity and Humiliation Studies (JHDHS). He is currently studying and residing in San José, Costa Rica. He obtained a Bachelor's degree in Interdisciplinary Studies with a focus on Peace Studies from Naropa University in Boulder, Colorado, USA in 2005. Christopher has been working and interning at the United Nations-mandated University for Peace in Costa Rica since February, 2005. He hopes to enroll in a masters degree program in a yet-to-be determined institution for Sustainable Development, Peace Studies or International Relations with a focus on Latin America. Recently named Project Associate for the Human Dignity and Humiliation Studies network, Christopher will be working to aid the creation of a peer reviewed e-journal as well as a composited book on the study of humiliation. Prior to 2006 Christopher was a member of the Rocky Mountain Peace and Justice Center in Boulder, Colorado, organizing rallies and informational gatherings on the occupation of Iraq by the US as well as anti-racial profiling campaigns for US immigrant groups in the Colorado area through the Safety Net. Some of his work there included organizing a benefit concert for freetheslaves.net, featuring internationally renowned poet and activist Saul Williams in April, 2005. Through the service learning program at Naropa University, Christopher also coached high school students in community organizing and political activism on issues of civil rights and awareness utilizing the model of Public Achievement from the Center for Democracy and Citizenship at the University of Minnesota. Please see American Diversity and the Role of Humiliation, note prepared for the 2006 Workshop on Humiliation and Violent Conflict, Columbia University, New York, December 14-15, 2006. Zuzana Luckay is also a member of our HumanDHS Research Team, project leader of the World Literature for Equal Dignity intervention project, editor at the Dignity Press, and Global Dignity Nurturer. Hildegunn Nordtug is also a member in our HumanDHS Global Core Team. Hildegunn has just earned her Master's degree in Social and Community Psychology at the University of Trondheim. She wrote her thesis, Implicit Prejudice against Arab Immigrants. This thesis presents the duality of unconscious and conscious prejudice, and links it up to body language and unmonitored responses. She was also working as a research assistant for associate professor Ute Gabriel on an experiment about prejudice. Hildegunn has a wide interest in social and community psychology. Some of her interests are basic social psychology, community health, preventive work and violence. She is now working on a project called "Tolerence Nord-Trøndelag", which has as a goal to reduce prejudice and enhance diversity in the region of Nord-Trøndelag in Norway . She happily accepts all ideas and suggestions on how to do this work. Please share your experiences and thoughts! Hildegunn will also have some lectures on prejudice at the Norwegian University of Science and Technology. Stephanie Tice (formerly Heuer) is also a Member of the HumanDHS Global Core Team and the HumanDHS Education Team. Stephanie is currently a College and Career Adviser at Gunderson High school, and a public speaker on bullying and modifying teen behavior through consequential education methodologies. She is graduate of Notre Dame de Namur University, studying Human Services and counseling. Her current position also allows her to work directly with troubled and challenged youths, by introducing them to techniques to avoid loss of dignity through positive intervention and behavioral support. She was inspired at the HumanDHS Costa Rica conference in 2006 to create the “Be the Arrow” framework for transitioning from a mindset of revenge/retaliation to a place of reconciliation and respect. 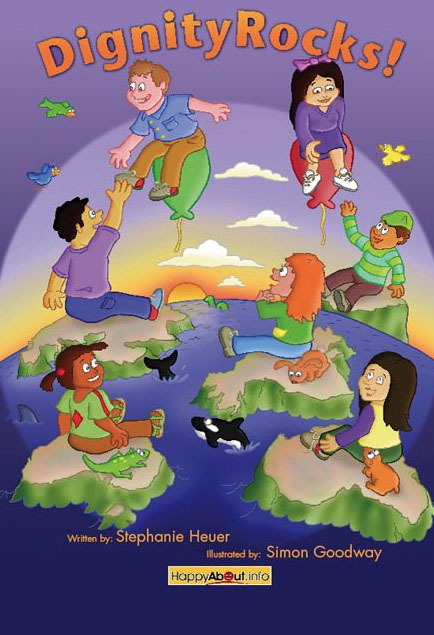 Her children’s book, DignityRocks! is a collection of elementary school children’s feedback to the inquiry, “I feel like Nobody when…. 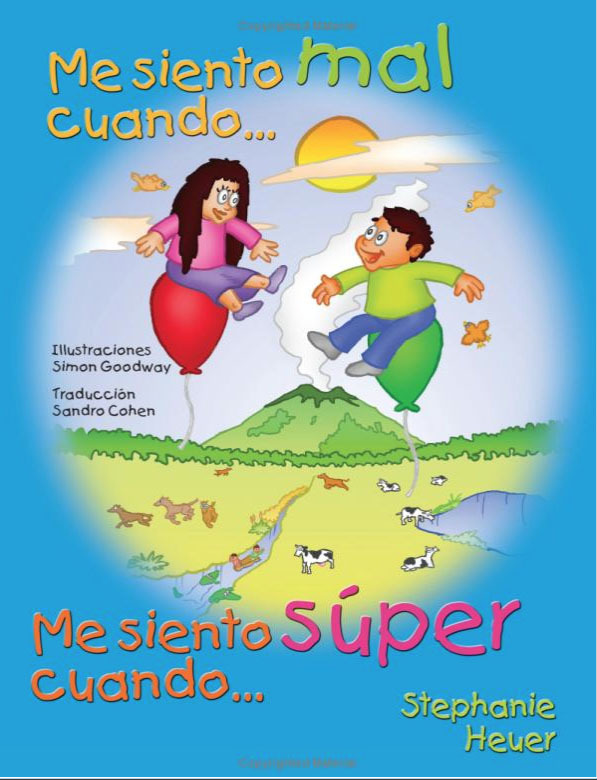 I feel like Somebody when” (purchase here and see the English and Spanish cover pages). This was inspired by the work of Dr. Robert Fuller and his somebody/nobody framework. She works closely with counselors and high school leadership organizations to combat cyberbullying and anonymous harassment on the internet. She is one of the original members of the HumanDHS team, and sites the HumanDHS organizational frame and mission as the basis for her continued work in dignity education and humiliation studies. • Be the Arrow, contribution to the 2013 Workshop on Transforming Humiliation and Violent Conflict, Columbia University, New York, December 5-6, 2013. See here a graphical overview over Stephanie Heuer's dignity rocks concept and her Dignity Rocks powerpoint presentation. Jessica E. Cichalski is also a Member of the HumanDHS Global Core Team. Noor Akbar is also a Member of the HumanDHS Global Core Team, of the HumanDHS Research Team, and the HumanDHS Research Team. He is a native of Pakistan's North West Frontier Province (NWFP) and has earlier worked as a free lance journalist. He has a Master's degree in Journalism & Mass Communication from the University of Peshawar and is presently doing his Master's degree in Political Science from the same university. The title of his project in the HumanDHS's Research Agenda is Terrorism and Humiliation: To Show Empirically that Humiliation Is one of the Root Causes of Terrorism. Noor has conducted a research thesis on the topic of Osama Bin Laden and Pakistani Press- a Portrayal Study of Daily Dawn and Daily Mashriq. (The study was an analysis of the two national daylies, one Urdu and English, after the 9/11 scenario.) Besides, Noor Akbar also worked as a Research Associate in a research study on the Pukhtoon Jirga (an indigenous institution for conflict transformation and peace building in the Pukhtoon belt of Pakistan and Afghanistan). This one and a half year study is awarded by United States Institute for Peace (USIP). Noor has recently conducted, as co-facilitator, a series of trainings in non-violent communication, conflict transformation, and coexistence to the UNHCR Staff, implementing partners and government officials at Jalalabad, Afghanistan. He has also been awarded a scholarship by the Center for Non-Violent Communication to participating in a fifteen days (19th to 4th July 2005) Special Summer Session with Marshal Rosenberg, at Orchidea Lodge, Switzerland. Presently he is working as Communication Officer, at Just Peace International Inc, a nonpolitical, nonreligious, nonprofit, civil society initiative, that aims to work for JUSTICE & PEACE through conflict transformation methods in order to protect and promote constructive peace by assisting, advocating and empowering grass roots communities, organizations, governments and the civil society to enable them to allow judicious, sustainable and productive interaction to realize maximum human potential in an environment of peace, justice and dignity. Brian is also a member of the HumanDHS Gobal Core Team, and host of the second HumanDHS Dialogue Home (2011). Brian was born in New Zealand in 1952 and is from Irish and Scottish descent. His career has been mostly as a public servant as a traffic and roading engineer. He credits himself to be a systems thinker which accounts for a deep desire to innovate and look for sustainable solutions and ideas in all areas of human endeavour. He strives to honour two main guiding principles of living: 1. Fostering appreciative relationships and 2. Never humiliate others. Brian has been lucky to live in a society and culture in New Zealand that, because of its largely egalitarian nature, can enable self-actualisation to be achieved which ultimately transcends into a personal post-individual or unity consciousness. He appreciates the value of science but also equally values how spirituality can inspire creative thought - providing ideas for verification by science. All methods of creative thinking such as astrology and free religious or ideological thinking devoid of hierarchy are integral features of being truly human. Brian enjoys an understanding of the pervasiveness of evolution and following its effects of systematic and continuous improvements for the positive. • The video-taped conversation with Brian Ward for the World Dignity University initiative that took place on 5th September 2011, in Timaru, New Zealand. The interviewer is Evelin Lindner. The discussion touches on systems thinking, sustainable business principles, and equal dignity. Brian is the sole director of a startup business in the renewable energy field (in New Zealand). • Submission to New Zealand Green Paper on Vulnerable Children, shared at the 17th Annual Conference of Human Dignity and Humiliation Studies "Enlarging the Boundaries of Compassion," in Dunedin, New Zealand, 29th August - 1st September 2011. Ulrich Spalthoff (Dr. rer. nat.) is the HumanDHS Director of Project Development and System Administration, and a Member of the HumanDHS Board of Directors, HumanDHS Global Advisory Board, the HumanDHS Global Education Team, the HumanDHS Global Core Team, and the HumanDHS Global Coordinating Team. He is, furthermore, the Coordinator of the HumanDHS One Laptop Per Child project. Uli Spalthoff has studied chemistry in Mainz and Münster, Germany. After some years in industrial research on optical communication technologies he held various positions dealing with marketing, quality management, technology strategy and innovation management at Alcatel-Lucent in Germany and France. His activities as Director Advanced Technologies included - as a member of a truly global team - mentoring of start-ups and consulting high-tech companies in IT, telecommunication and semiconductor industries from countries all over the world. Being interested to work in a broad range of professional fields and diverse social contexts, he has acquired expertise in a broad range of technical, economic and social matters. After his retirement he still wants to nurture innovative ideas to shape our future. Being impressed by the concept of HumanDHS he wants to learn more about it and currently explores how he can contribute. Uli is married to Brigitte Volz, a teacher with a strong therapeutic and psychological background who is also an artist making sculptures. Christine Locher completed a post-grad certificate in Peace and Conflict Resolution Studies at Fernuniversität Hagen in 2007 with a thesis on conflict resolution focusing on North Korea. Before that, she studied Journalism, Intercultural Communication and Psychology in Munich, Germany. She graduated with an M.A. in 2004, her thesis was on "National Stereotypes in German travel guidebooks about Japan." Her interest for research about stereotypes was greatly inspired by her studies abroad in Japan at Kyushu University and in Ecuador. In addition to her M. A., she also did a post grad intensive course in business studies at Fernuniversität Hagen focusing on strategic management and organization. Her main points of interest are training, coaching, intercultural communication and conflict resolution. Her personal mission statement is "to lead to knowledge and freedom." At university, she founded the students' representative body of Intercultural Communication and developed integration projects for foreign students. She is volunteering at WYSE (World Youth Service and Enterprise ), an educational NGO associated with the UN department of public information. This NGO works with young people from all over the world on leadership, universal values and conflict resolution. Christine has completed training as a group facilitator/transpersonal educator at WYSE. Her quite diverse work experience spans from working on a construction site to selling jewellery to software marketing to exhibition management to call center agent to teaching German to journalism. She now works for a consulting company in the training department. Christine will complete a training program for integral business coaching in 2007. She is also receiving training in Psychosynthesis, Non-Violent Communication and TRANSCEND. Christine loves traveling and studying languages. She speaks German (including several southern dialects), English, French, Spanish, Japanese, Chinese and Mongolian (at different levels). She promised several of her international friends to study their mother tongues as well, luckily without giving a deadline for it. The Conflict with North Korea / North Korea as a Source of Conflict. An Analysis from a Peace Studies Perspective. Presented as graduation thesis in Peace and Conflict Resolution Studies at FernUniversität Hagen, 2007. Jennifer Kirby is also a Member of the HumanDHS Global Core Team, of the HumanDHS Research Team, and the HumanDHS Research Team. She graduated from Appalachian State University with a Bachelor's Degree in Biology. At the university she published her senior thesis on "The Nature of Holocaust Survivor Poetry: The Power of Poetic Expression." She is currently the Administrative Assistant/Event Coordinator for Appalachian State University's Center for Judaic, Holocaust, and Peace Studies. As she continues her academic interests, Jennifer plans to pursue graduate education in genocide and peace studies while incorporating her interest in humiliation studies within her field of study. In her free time Jennifer loves reading, traveling, and spending time with animals of all kinds. 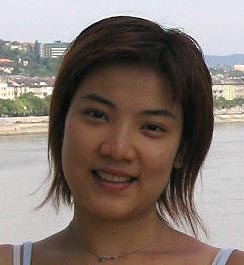 Sowan Wong is also a Member of the HumanDHS Research Team, and of the Global Core Team. She has recently obtained her Ph.D in psychology from Brunel University, West London, the U.K., under the supervision of Prof. Robin Goodwin. Her thesis was a cross-cultural study on work-family conflict and marital satisfaction. She received her M.Phil and Bachelor's degree in Psychology from the Chinese University of Hong Kong, with Prof. Michael Harris Bond as her academic supervisor. She is interested in looking at culture influences on the attitudes, values, and beliefs of individuals, which then influence individuals' behaviors. Aggie conducts her graduate studies at the Institute of Psychology of the Chinese Academy of Science in Beijing, China. Prior to that she was a psychology student at the Department of Psychology in Zhejiang University, Hangzhou, China. Two of her research papers were published in Chinese psychological journals. Her goal is to raise Chinese students' awareness of mental health. I was born into a big family 24 years ago, with a history professor grandpa, a manager father, two accountants — mom and grandma — and a loving great-grandma. I grew up in the campus of Liaoning University, located in Shenyang, the capital of Liaoning Province. Surrounded by so many people loving me much and expecting much from me, I started piano training from the age of four, and was educated in the best primary, junior middle, and senior middle schools. I became an excellent student with good grades and versatile talents, in other people's view. However, in the winter of my second year in high school, I got caught by depression and suffered a lot together with my family for several months. During that period, I experienced so much pain that I didn't believe I would ever get well again, until I met with a psychologist from Belgium and read some books about depression that helped me a lot. It was during my recovery period that I developed my interest in psychology, with the longing for helping people alleviate this pain of heart. Therefore, after I went back to high school, I set my goal on joining the best psychology department in China (at that time) — the Department of Psychology in Zhejiang University — and luckily, I was matriculated by it as the only student in my province. While I was feeling the biggest happiness, wanting to do something to help people, as soon as I got in the university, what welcomed me was another setback. My idea of waging a campaign to raise Chinese students' awareness of mental health was considered unrealistic. After realizing that my power might be too small as a freshman in psychology, I decided to first concentrate on learning as much as I could to accumulate knowledge and experience. So, during the past few years, I studied with heart, conducted research at my best, and participated in activities related to psychology, as much as possible. Up to now, my efforts paid. With good grades, I was recommended to the Institute of Psychology of the Chinese Academy of Science for my graduate studies. Two of my research papers were published in Chinese psychological journals. And I gained a lot of experience through helping with some professors' graduate teams, participating in some social events, and organizing psychology related activities. My journey in the field of psychology has just started, and with a career plan that I explain now, I still have a long way to go. I want to spend the first ten years on studying and learning about the status quo of psychology in China and the more advanced psychology abroad, probably primarily focusing on the academic field. For the second ten years, apart from doing more research, I wish also to collect experience in practice, to see if I can find my focal point. Then, at the age around 40, it might be time for me to apply what I have learned from knowledge and practice, and make it useful for society at large. Of course, I expect to meet difficulties on the way. So I guess I have to leave 10 year for myself to make errors and correct them. During my fifties, I hope I can make a real difference. I hope I will have the ability to help people in ways that are optimal to them and me. I hope to develop this career and pass on what I learned and gained to younger people. If I could do all of this, I would be most gratified. My overall goal is to study and work for Chinese psychology. Ardian Adžanela (originally Axhanela) is also a Member of the HumanDHS Research Team. Ardian has a M.A. in State Management and Humanitarian Affairs (University of Sarajevo, La Sapienza University of Rome, and the University of Belgrade), and a B.A. in Applied Ethics and Historical Studies (Griffith University, Brisbane, Australia). His future plans include a wide scope of involvement (personal research, training, academic research and eventually a Ph.D.) in areas pertaining to the quality of social interaction in transitional countries like Bosnia and Herzegovina, and its effects on individuals and the society as a whole. • Human Dignity and Humiliation in the Context of Post-War Society of Bosnia and Herzegovina, Presentation given at the 15th Annual Conference of Human Dignity and Humiliation Studies "Peace at Home, Peace in the World," in Istanbul, Turkey, 28th - 30th April 2010. • Corruption as a Violation of Human Rights in South East Europe: The Case of Bosnia and Herzegovina, presentation at the International Summer School Sarajevo, Alumni Conference "Transitional Justice and Democracy Transition: Looking Back at the Past for Gaining a Perspective on the Future," 29-30 July 2011, by the Pravnik Association, in cooperation with the Konrad Adenauer Stiftung-Rule of Law Program South East Europe. published in the International Journal of Rule of Law, Transitional Justice and Human Rights, Year 2, Volume 2 by the "Pravnik," Association from Sarajevo, as a part of the International Summer School Sarajevo (ISSS) 2011 (http://papers.ssrn.com/sol3/papers.cfm?abstract_id=2001920). • Petty Corruption And Human Rights Implications: The Case of Bosnia And Herzegovina, a revised version of the essay published in the International Journal of Rule of Law, Transitional Justice and Human Rights, Year 2, Volume 2 by the "Pravnik" Association from Sarajevo, as a part of the International Summer School Sarajevo (ISSS) 2011 (available at papers.ssrn.com, to view the essays please click on the "One-click Doawnload." • Ardian Adžanela Reflects on Solidarity and Mutuality, video, Sarajevo, 14th August 2016. On 14th August 2016, Ardian Adžanela reflected on solidarity and mutuality, and how he observed it flourishing in the midst of the suffering of the siege of Sarajevo (1992-1995), more than after the siege. Evelin Lindner did the video-taping. Mark Singer is also a Member in the HumanDHS Global Education Team. Mark is an ethicist, writer, and professor from the USA. He has taught communication at the college/university level for over 25 years. His memberships include the Center for Global Nonkilling and North American Kant Society. Seminal Ethics – Discovering Your Ethical Core is his latest work-in-progress - a book designed to educate others via a values clarification process that can greatly enhance identity-awareness. Singer maintains that such strengthening of one’s personal identity is the key to overcoming the deleterious effects of humiliation. Previous books include Guidelines for Communication, Punim Publishing (email). Jingyi Dong is a Ph.D student majoring in Educational Sociology at the Department of Education of the Norwegian University of Science and Technology (NTNU), Trondheim, Norway, under the supervision of Prof. Magnus Haavelsrud. Her thesis is on equal opportunity for disadvantaged groups in the process of higher education. Earlier, she received her M.Phil in Higher Education from the University of Oslo, with Prof. Peter Maassen as her academic supervisor. Her thesis is on equal opportunity for disadvantaged groups in access to higher education. Also from the same university, she received her M.A in North American Studies, with Prof. Ole O. Moen as her academic supervisor. Her thesis is on diversity in higher education. At the level of undergraduate education, she received her B.A in Teaching English as Foreign Language from Teachers' University of Hebei Province, China. Her thesis endeavors to uncover that people from different countries have more to share rather than differ from each other. Her current focus of research is on the life and study of rural students as a disadvantaged social group on the campus of Chinese universities. Her interest also extends to the background of these rural students, such as the status quo of peasants and of intellectuals on the university campus in China. Eric Van Grasdorff is a Core Team Member of the Cameroonian NGO AfricAvenir and currently the Chairperson of its German section in Berlin. Additionally to being the Content Manager of both the HumanDHS and the AfricAvenir websites, he is currently building the Internet platform on Diversity Management for the German Heinrich Böll Foundation. Eric organised the 5th Annual Meeting of Human Dignity and Humiliation Studies in Berlin in 2005. Martin's educational background is in Political Science, Philosophy (Freie Universität Berlin).  Tourmanagment for Guru (Gang Starr, Jazzmatazz), Bahamadia, CL Smooth, Cali Agents, Hieroglyphics,..
Fred Sullivan is also a Member in our HumanDHS's Education Team. Fred has manifold interests: He is a Technology/Social Entrepreneur, Activist, and Artist, with the range reaching from Strategy to Start-Ups, Branding, Technology Entrepreneurship, Social Entrepreneurship, Software Integration & Development, Inbound Marketing, Film & Video Producer, Art Direction, Systems Analysis, Argentine Tango, and Modern Dancer and Choreographer, Pianist. He writes: What do I usually do for ventures? Help realize an organization leadership teams vision by using my ability envision a strategy and integrate technology & brand way creates exceptional value. One of the tools is The Filter Model it is a process of systematically identifying opportunity by modeling users of a system. In a workshop with the venture team of core members, we develop together strategy, brand and mission critical IP and technology systems. Recent Projects: The City of Jersey City, Trial Academy of New York State, The Man Up Campaign, Total Coordination Professionals, Gurfein Douglas. Noorit Larsen is also a Member in the HumanDHS Global Core Team and the HumanDHS Mapping and Assessment Team. Noorit Larsen has graduated with an LLB degree from the University of Haifa, Israel. During her bachelor degree she developed a growing interest in human rights and related disciplines, as well as took part in the ‘human rights in society’ legal clinic. After finishing her bachelor degree she moved to Norway to live with her husband who is Norwegian. She has recently graduated with a master's degree in Medical Law and Ethics Programme from the University of Edinburgh, Scotland. Among her areas of interest and research expertise are: human rights, medical law, international healthcare law, distribution of natural resources, public international law, international criminal justice, jurisprudence and law and development. She hopes to do her Ph.D. in Norway in the latter subject; she believes the reciprocal relations between international law and international development are not only interesting and fruitful but from her perspective – inevitable as well. She also believes there is research in a relatively small scale in the area of law and development. Michael Haggerty is a technology professional and open source advocate with an interest in the intersection of politics, technology and culture, the transitory nature of modern social interaction and the positivist potential for groups to gather and mobilize through online organization. He is responsible for the delivery of all client solutions, new product research and development, architecture of Trellon's network delivery infrastructure, acts as the lead on all strategic consulting projects and carries out a number of other tasks corresponding to the management and operations of the organization. Professionally, he brings a wealth of enterprise IT expertise gained through positions held with Lockheed Martin, the Federal Government, Washington Hospital Center, and various start-ups which have gone on to do great things or vanished completely. Michael possesses dual degrees in English and Philosophy from Washington College and has so far successfully resisted the urge to attend graduate school. He is active politically in various causes, a veteran of the 2004 Clark for President campaign, serves as the IT Director for the YearlyKos convention, scores a solid ENFP every time he takes a Myers-Briggs personality test and generally tries to be a decent human being. In his spare time, he enjoys reading the works of great thinkers, closely following the fate of the Boston Red Sox, challenging the accepted standards of the community with his bonny young daughter and making things light up and go beep. He resides in Las Vegas and Washington DC. John (Tim) Denny is an ICT and Education Specialist at the Open Schools Program - Open Institute, in Phnom Penh in Cambodia. Since 2007, Bill is the Development Director for the Center for Agroecology and Sustainable Food Systems at the University of California, Santa Cruz. Born in San Francisco, California in 1940, Bill has had a variety of life experiences which have contributed to his continuing lifelong learning. His formal education brought him an undergraduate degree (B.A.) in history from Amherst College and a graduate degree (M.A.) in counseling from Stanford University. Bill’s entire employment career has been in either education or in the nonprofit sector. While greatly enjoying counseling, he resigned from being Associate Dean of Students for Counseling at Stanford University in 1972 with the intent of becoming more actively involved in social change and environmental activism – commitments which he pursues to this day. Within this context, Bill also was for more than nine years Director of Community Development at a Community Development Financial Institution. In that capacity he developed a range of programs advancing economic justice and serving people who were underserved. The variety of nonprofit experiences have included work in conflict resolution, international computer networking (beginning in pre-Internet days), organizational development, social and economic justice, and environmental sustainability. He currently is Executive Director of a nonprofit (non-governmental organization) which acts to preserve coastal watersheds through community stewardship, monitoring, and education. Bill has also served on a variety of nonprofit Boards of Directors. Throughout these experiences and to this day, Bill, for the most part happily, has wrestled with the question of how he can be most effective in contributing to fundamental change which can lead us to a world with more joy and love and less suffering. His current thinking leads him to believe in the central importance of the development of mutually empowering relationships in both our individual relationships and in institutions in all sectors. Bill’s four children, born between 1966 and 1982, continue to bring into his life great joy and love as well as four wonderful grandchildren. He continues to learn much from them and has had the opportunity to experience co-parenting and home schooling with them. Striving to live simply has added grounding to his life as have his attempts to nurture and to attain some balance between mind, body, and spirit. The blessing of good health provides the gift of being able to participate in long-distance running which he hopes to be able to do for many more years. Some of Bill’s current thoughts can be found at his blog. Bill is delighted to have begun his connection with the Human Dignity and Humiliation Studies Network and looks forward with keen anticipation to deepening that connection and experiencing increasing synergy, mutual empowerment, with this fine group of colleagues.  Dignity, Humiliation, and Mutual Empowerment for Fundamental Change, abstract prepared for the 2007 Workshop on Humiliation and Violent Conflict, Columbia University, New York, December 13-14, 2007. Hassan Qureshi is working with Tranzum as Manager e-Marketing, He overseas websites, e-commerce initiatives & e-marketing activities of all the business divisions & companies of Tranzum. Tranzum provides services in diversified industries including express, logistics, warehousing, distribution, mail order, travel & tours, visa drop box, management development, event management & publications. With its corporate office in the Middle East (Dubai), Tranzum has established offices in various regions across the globe including South Asia, North America and Europe. Hassan is the founder member of e-Marketing Board of Pakistan which provides information, training and events on best practices of online marketing and e-commerce to Pakistani audience. Abou Bakar Johnson Bakundukize has a BA in Sociology and is closely working with refugees. He worked with Africa and Middle East Refugee Assistance (AMERA) Egypt as an interpreter and his responsibility was to provide assistance by preparing testimonies and legal arguments for asylum seekers who were interviewed for refugee status at UNHCR for the first time. In 2007 he took a professional Diploma of International Human Right and Refugee Law at The American University in Cairo (AUC), under Forced Migration and Refugee Studies. This helped him to work as a Legal Advisor for refugees and also assist with appeals if the asylum was rejected based upon criteria regarding legal issue in the claim. At the same time he working with Students Action for Refugees (STAR) and was involved in the Gender-Based Violence (GBV) team to coordinate the legal and psychosocial needs of asylum seekers involving gender-based violence. He participated in the GBV committees at the UNHCR as well as in community projects designed to prevent and appropriately respond to GBV. He is currently enrolled in the Masters in International Conflict and Resolutions program at the American University in Cairo, and is working on his first book which is entitled Voice of Shadows. Voice of Shadows offers a topical and informative analysis of forced migration in the age of globalization, identifying mass displacement as an outcome of conflicts and contradictions in the global system. It looks critically at histories of migration, exploring the constructed nature of the refugee and considers the changing patterns of migration and the refugee experience of displacement, flight, and the search for asylum. Additionally, it offers a critical analysis of refugee policy in Europe, North America and Australia and advances the case for open borders. Candidate for a Master of Science degree in Negotiation and Conflict Resolution from Columbia University and Assistant Director Academic and Student Technologies Columbia University. Lasse Moer is a deep thinker and innovator. He is also the Chief Engineer for audiovisual technology at the Faculty of Social Sciences of the University in Oslo, Norway. Please see his personal website. 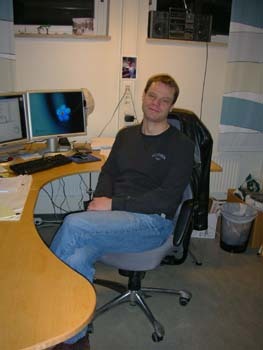 Egil Bergh-Telle is Senior Engineer at the Department of Psychology at the University of Oslo, Norway. Evelin Lindner explains: "Egil Bergh-Telle is among the most knowledgeable IT experts in his field. I have stranded with my computer in New York, Paris, and Japan, and in all cases, the local IT experts at the universities I was affiliated with there were not able to solve the problems my computer had. Three IT experts tried to rescue my computer in Paris, for example, for three days. Finally, I had to take the plane to Oslo. And, Egil would, without exception, solve the problem within maximum of one hour! I am simply amazed at the level of his expertise!" Linda M. Hartling, Ph.D., is a Member of the HumanDHS Board of Directors, the HumanDHS Global Advisory Board, the HumanDHS Core Team, the HumanDHS's Research Team, and HumanDHS's Education Team. She is also a Member of the Editorial Board of the Journal of Human Dignity and Humiliation Studies (JHDHS). In 2007, Linda began to develop our internal cyberspace Ning, where we can conduct internal discussions. Richard Slaven is the Administrator of the Martin Fisher School of Physics at Brandeis University in Waltham, Massachusetts. He holds a B.S. degree in Physics and Mathematics, a M.S. in Nuclear Engineering, and a Ph.D. in Educational Administration. Zahur Ahmed Choudhri is also a Member of the Global Advisory Board, and the HumanDHS Global Core Team. We, the HumanDHS network, have seven interfaces of communication within our network and with the wider world. At all interfaces, we wish to use the appreciative approach that we have adapted to the HumanDHS vision. Please see the concept for the HumanDHS E-frastructure that Linda Hartling created in 2009. 1. Emails: Within our network, we communicate by way of email most of the time. By doing so, we achieve a high degree of global connectivity and avoid overhead cost (by not using snail mail and paper, and not having an office). We organize our meetings, just to give an example, only digitally. Over time, the email load has become too big for Linda and Evelin, and therefore we currently embark on creating ways that the email conversations can be cared for by our Coordinating Team (we need more helpers!). We wish to fashion these conversations in a way that is transparent to all our Coordinating Team Members so as to preserve the coherence of our work and to move forward as a group. 2. Our News Section: You see the News Headlines of our most recently posted news items when you click on http://www.humiliationstudies.org/. Evelin has maintained this News Section since 2003, both as author and administrator. Since 2007, Evelin registered most of our Coordinating Team members as authors as well. Martin Stahl installed a News Section new software in the beginning of 2007, together with a strong and effective spam filter that keeps inappropriate comments out. The rest of incoming comments is managed by Evelin. 3. Ning: This is a virtual meeting place for our network members that Linda began developing during the first months of 2007. The aim is to provide a space for our network members to discuss internally. Please see Nora Femenia's pledge delineating the etiquette that we wish to heed within this space. 4. Our Journal of Human Dignity and Humiliation Studies, see also http://www.humiliationstudies.upeace.org/: Our journal is up and running since March 2007. Its Co-Editors Victoria Fontan and Amy Hudnall are in charge, together with Project Associate Christopher Santee, the journal's Academic Board and Support Team. We, as Global Coordinating Team, need to remind every researcher in our network to consider our journal as publishing outlet for their work and their students' work. 5. Our web site: Evelin is maintaining our web site since its inception in 2003, taught by Martin Stahl and Eric Van Grassdorff, who installed the web site. On our web site you find an option to contact us, see the Contact us page. Judit Revesz receives all messages and forwards them to Evelin (except the spam). It would be great to have more people getting involved. Points of involvement would be our Global Coordinating Team, our Research and Education Agendas, and our Intervention ideas. Please see our Call for Creativity and our Who we are page for possibilities of how interested people can get involved. 6. Our annual meetings: It would be great to build a team that could organize our meetings in the future, and also build the meeting sites for each meeting on this web site. 7. See our World Dignity University initiative as part of our educational activities! Here's one idea...I'm wondering if we could formulate a "HumanDHS Relational Ambassadors" program in which we train and support interested individuals to assume specific aspects of the work, in particular electronic communication. Perhaps we should develop something more formal, perhaps a "connected curriculum of appreciative training" that is facilitated through mentoring relationships?  2. Continuing to develop and define what it means to practice a HumanDHS walking-toward-our-talk approach (e.g., appreciative emailing, appreciative practice, etc.).  3. Identifying and describing specific roles and responsibilities that can be assumed by others in way that facilitates their growth and the growth of the organization.  4. Most of all, I think we will always need to help each other up each time we fall as we move this work forward. I am looking for models of how other organizations that have been able to do this effectively. I am so thankful to participate in a community that is developing the fluid expertise and relational resilience to grow while allowing people to be authentic "humans among human-beings." It is a wonderous experience.  4. Describing Our Desired Level of Participation: Limits and Aspirations (For example, I am currently working a demanding, "more than full-time position." At the same time, I am deeply devoted to the work of the HumanDHS network. Because of my work responsibilities, my HumanDHS efforts are generally restricted to evenings, weekends, vacations, and holidays. Furthermore, there are times when my work responsibilities completely consume the energy I would use to contribute to HumanDHS in my off hours. 3. Get these accounts linked together so transactions are streamlined. Again, dear Michael, thank you for your thoughtful, thought-provoking email. For me our approach means daring to "move toward mutuality" in all of our efforts. I conceptualize "movement toward mutuality" as an powerful act of resistance to organizational practices that implicitly or explicitly propagate exploitation. In "Relational-Cultural-Organizational Theory" (my variation on RCT), exploitation might be called "relational-organizational malpractice" (a variation of Joyce Fletcher's term). Far too many for-profit and nonprofit organizations depend on countless forms of relational-organizational malpractice, including shameless exploitation. Whether this occurs in an organization that is working for good or not, it is still malpractice. So these are two roles I have been thinking about that, as I see it, preempt but do not replace the roles of leader/manager/and the like. They come before those more familiar and well-defined roles. To achieve a network of equal dignity, requires practicing the discipline of first establishing and sustaining the roles of Incubators/Admirers/Encouragers of the good in each other, and of collaborative inquiry in undertaking initiative. Collaborative Thinking: That which can impact others should be first thoughtfully brought to their attention to get their input so as to arrive at a more thought through decisions about what to do. The extending of that kind of thoughtfulness should be welcomed and answered in kind. Within the context of treating each other in these ways, we can then know best how to proceed with projects and matters of leadership. Please see also our Appreciative Enquiry page and, to get a taste, watch this little film called Validation! We thank Uli Spalthoff for making us aware of Dealing with Internet Trolls - the Cognitive Therapy Approach. "While information and communications technologies (ICT) enable unprecedented interactions between individuals around the world, they also introduce some dynamics that can degrade dialogue. ICT enables people to communicate immediately and anonymously, often without moderation, and in some circumstances this encourages behavior (such as threats or insults) that most individuals would never engage in face-to-face. This behavior may make people feel unwelcome, disrespected, humiliated or harassed in their online interactions. Ultimately, individuals may be dissuaded by these dynamics from participating, which undermines the vibrancy of our global conversation. We embrace full and open communication and recognize the unique opportunity for expression in the online environment. We support freedom of speech and reject censorship. These principles are not intended to address what ideas can be expressed, but rather the tone with which communications take place." Internet and email users worldwide are asked to help promote these standards by pledging to follow the Statement of Respectful Online Communication. Those who run Forums, message boards and blogs are encouraged to include the Pledge as a condition of membership and all are encouraged to include the statement 'I have signed the Liverpool Pledge to honour the Statement of Respectful Online Communication' in their email signatures. • respect diversity and be tolerant of differences." If you wish you can support the Pledge by completing the Form at https://www.themediationroom.com/. Your privacy will be honoured by TheMediationRoom.com and your address only used by us to alert you to new developments with regard to the Pledge. This is a text is not finished. If you wish to contribute, please let us know!  Please see also reflections by Michael Britton on How People Defend Themselves Against Hope: Lerner Responds to Cindy Sheehan's Resignation.  Please note also the five-to-one rule! In order to make relationships last, be it in our families or with our colleagues, we need to be aware of the human negativity bias. For our group to remain cohesive, we always need five positive interactions for every negative one. Please see "Accentuating the Negative" by Richard Conniff the New York Times, a humorous explanation and nice read! Another nice read is "5 Important Talking Rules For Couples" by Ian Kerner on NBC! New York Times, February 20, 2007. I want to share some thoughts about our collective thinking-through about appreciative emailing and internal conversations among Network members. Our Network's mission is conceptualized as helping change the world from a place of rankism with norms of humiliation to egalization with norms of appreciation. The invisible need to become visible, the unrecognized recognized, the left-over peoples made part of the world of "those who count." The Network has been fashioned around identification with Ghandi's concept that it is necessary to be the change that we wish to see happen in the world. We must, with each other, walk the concepts we talk about. And so the very central focus that has emerged on appreciative communication via email: We want to treat each other as mattering at all times. We want to recognize the vulnerability that all of us have to each other, and to communicate in ways that carry that vulnerability in mind. We also want to recognize the Nelson Mandella good, beautiful, strong, insightful, talented, generous, talented parts of each other as they appear, even when their owners do not realize they have such qualities. We want to bring out in each other our voices and our under-owned good selves. These, I think, are some of the elements involved in appreciating each other as we go about conversing via the internet. I would like to add another element to the concept of appreciation, and that is appreciation for the task. We do have a mission, but it is not a mission "out there," an abstract principle to be talked about. I think we intend to conceptualize our mission in a relational way. We care about the human world, the entire human world, and how we humans are going about things together. The help we give is not money, but insightfulness. And so we converse together in part because we all understand more fully as we listen to each other and think together about our perceptions of the human world and the condition of being humans together. We also create more insight than any of us start with precisely because we are listening to each other, getting new ideas and perceptions as we react to the thinking of others. Conversations, when they work well, become richer because we do them together. I think a large element of appreciation has to do with what it is we are crafting, which is different from how any of us are feeling, though it is also related to that. What we are crafting is insight, ever richer and ever more useful to specific people in their own circumstances. Our conversations make use of our knowledge of ourselves, our life experience, our feelings and all we've learned from others' words, from literature, films, traveling, observing for ourselves, interviewing others... We bring all of that, when we come together in a conversation, and spread out what seems relevant at the moment, to whatever it is we are trying to understand more deeply and usefully at that moment. We respect the responsibility to judge whether something we'd like to say really adds to the understanding that is developing or is irrelevant. We understand that a feeling or image that comes up in the middle of a discussion, seemingly out of nowhere, may be a door opening to greater understanding if we choose to go through the door. We also come together, some of us, to research the ideas that are generated, to find out if what we think is really so, and to provide evidence that others can take seriously so that our understanding becomes not only useful but well used. I think a large element of the appreciation we have for each other emerges in those moments when we are concentrating on the thing before us that we, together, are crafting at the moment. While there are many specific situations and topics we come together to examine closely, like surgeons respecting each other's additions to the task as we collaborate on the case at hand, I expect an important element of the Network's process is going to be the emerging of several large themes into which the specific parts fit, and which themselves are components of the overarching vision of moving from rankism to egalization. I think Ning offers the opportunity to tend to exactly that. I see Ning as providing several forums in each of which a central theme can be put on the table. And everyone with expertise and interest can gather around that table, sharing insight and knowledge and experience, listening to what others say, trying to understand the subject better, adding in experiences from different parts of the planet to see how they illuminate the question at hand, trying out new thoughts in our own minds as a result of what we've taken in. We expect to be changed by the interchange, to understand more fully, to have a more accurate sense of the larger world, to have a greater clarity of passion or principle. This can be thought of as so many individuals, each of whom walk away from the table with more ideas of their own. It can also be thought of as having created a shared picture together. It can be thought of as a something that is not any of us, a well-crafted work in progress hovering among us, through which we will engage each other and the larger world with a somewhat different or somewhat strengthened understanding. I think Ning provides a vehicle for doing that, as well as for doing other things (like working on future conferences), if we use it in that way. If we create forums that embody the large themes that capture our minds, our hearts and our embodied spirits as we look out on this world of humankind, while staying anchored in our personal and local lives, I think we will have a sense of building a large, rich, coherent and very useful world of insight that others will use to make our shared world more livable for everyone. So I wrote this to champion both appreciation of each other and appreciation of our task, and more specifically appreciation of the crafted work over which we labor together. I realize this way of writing about it emphasizes a quality of respect and serious concern. There is a patient on the table, and the patient needs to survive. If you are designing a shelter, you must get the lines right. Respect for the task and for each other as crafts people: these are important qualities to foster in our walking our talk together. Another time I would like to write about appreciation of each other and of what we are crafting with an emphasis on the qualities of nurturing and playfulness, which bring other things to light and add other, very wonderful dimensions to our electronic conversing with one another. Most people are socialized, and still embedded, into hierarchical top-down structures, and the role of a coordinator is automatically expected to mean "top-down leader." This is not the case in our network. Our definition of a coordinator is different. A HumanDHS coordinator is more of a facilitator and nurturer, implementing our appreciative approach. We use the image of a tree to illustrate the nature of our HumanDHS work (we sometimes also use the metaphor of a forest), and the coordinator is not at the top, but at the bottom of the tree, nurturing the roots, the trunk, and the capillaries of the tree, so that branches can grow, with fruit maturing on the branches. Perhaps an art teacher is a good model, an art teacher who nurtures the creativity of her students, and brings out their best. Some students may begin to paint on paper, others will be drawn to making sculptures, again others may experiment with digital media. The result will be vast diversity. This teacher may be an artist on her own account, however, she will not allow her own approach to dominate her students. Thus, her two identities, of a) being a facilitator of diversity among her students, and b) being artist in her own right, will be clearly distinct and be expressed by profoundly different scripts of behavior. Our three main branches are our Research, Education, and Intervention initiatives and teams, and the fruits are the various tangible projects that are being developed by individual members of our network. We develop our Global Coordinating Team to nurture the entire network, and also each branch and sub-branch needs to be nurtured and facilitated by coordinators/directors, again working from the bottom, not from the top. A coordinator does not dominate the members of his or her team, but encourages our members to develop their own particular work in the context of the overall HumanDHS vision. The coordinator helps everybody to integrate their work with the other members, and facilitates cross-fertilizing by creating synergy between our members. A coordinator nurtures our work in a Diversity in Unity fashion (or Unity in Diversity), whereby the Unity is expressed in the HumanDHS vision of equality in dignity, and Diversity by the myriads of ways in which this vision can be expressed and embodied. A coordinator provides the nurturing of the roots, trunk, and capillaries of the tree in an appreciative fashion, he or she does not create the fruits, the particular projects. Each fruits is created by one or several individual team members. Coordinators can also be members of their own team, in case they are also creating a fruit/project of their own. However, our experience tells us that these two roles must be kept apart very stringently. The members of a team must not mistake the coordinator's own project to be meant to dominate the work of the entire team. It must be made clear that the coordinator's own project, and thus role as member of his or her team, will not interfere with the more neutral nurturing and facilitating nature of the coordinating role. We call our approach the "appreciative approach." We aim at creating a humiliation-free, collaborative environment characterized by mutual respect, mutual empathy, and openness to difference. We believe that conflict can only be waged in a good way (as decscribed by Jean Baker Miller), if it is embedded into mutual appreciation. We wish to refrain from engaging in inefficient monologuous "loudspeaker communication." We wish to resist the widespread misconception that appreciation forecloses clarity.  Appreciative Nurturing (AE), a text in the process of being written collectively.  "The End of the Organization?" by Michael C. Gilbert, in Nonprofit Online News, February 7th, 2008: "We need to make this transition [to network structures] successfully: (1) We need ways of making network structures tangible to those who want to support civil society. (2) We need to develop and propagate the language of networks, with adjustments suitable to our many communities of practice. (3) We need models of collaboration and communication that help organizations make the most out of their new permeability. (4) We need financial structures that facilitate network centric funding and (5) legal structures that facilitate network centric employment." I am thinking of concentric circles. In the innermost circle are the small number at the heart of the Network, whose job seems to be threefold: (1)the bringing in of new people, which you, Evelin, do so amazingly; (2) meditating/reflecting on the core concepts of the Network: humiliation, dignity, appreciation, transformation, nurturing -- and how these are lived in day to day interactions/relationships with each other, within the Network, with anyone; the role of Tenders of the Mission, explorers of the "tactics" of appreciation, apology, forgiveness, etc; (3) providing service to the members in the next circle: encouragement, modeling of good relating, connecting them with one another as resources to each other, encouraging them in their own sense of mission, their own projects, etc. -- the Tree encouraging its branches to dare to grow their own fruit. In the next circle are the members of the Network who are essentially doing their own thing, drawn to the Network by a shared focus on humiliation, dignity, nurturing, appreciation, transformation -- who participate in the sharing and cross-fertilization and mutual encouragement that takes place at the Conferences, and hopefully via the internet forums. The forums allow for an easier "networking" around shared interests -- education, research, etc. -- to compare, contrast, keep each other updated so that synergies can pop out and be taken advantage of, etc. A coordinator or director of one of those forums is someone who takes the step out of the second circle into the first: S/he may continue to do their own thing, but that is not what the position is about. When acting in this role, the person focuses on the members in the second ring and what they are about, what they are trying to do, and provides encouragement, connections, brainstorming and the like for them in the pursuit of their own projects. A coordinator is a nurturer of other people in their own work, and sometimes in their own lives when they feel overall discouraged. A "coordinator" is not thought of as a "director" but more as a servant, a provider, one who seeks to be of help. A coordinator also tends the larger picture in that domain, be it education or research or whatever: Where do all the individual efforts seem to be going, what do they have in common, where can they cross-fertilize, what does the bigger picture of global transformation seem to be most in need of that can be put out as a thinking-point that individual researchers might or might not want to take up as part of their work. The other side of a coordinator role, as someone who has been brought into the first circle, is to enter into the shared process of reflection that goes on at the heart of the Network, reflection on humiliation/dignity/nurture/ transformation/appreciation/etc, as broad ways of understanding global life, its needs and possibilities, and on the "micro" level of our lived interactions. This is the realm of "walking the talk" and anyone who comes into the first circle as a coordinator takes on the responsibility for this kind of personal reflection so that, in the course of attending to the members of the Network he/she deals with, the interactions embody the effort to live what we think about. In this the goal is that whoever we have dealt with comes away with their own dignity "grown" or affirmed in the process. Our mission is to find creative ways to transform conflict, and we have regularly broken new ground. For example, we have developed methodologies to defuse violence across entire societies. Just as the Molière character did not realize he had been speaking prose his whole life, we did not know, in our early years, that our work would eventually be described as social entrepreneurship. But, in 2006, the Skoll Foundation named Susan Collin Marks and me to their Fellowship of Social Entrepreneurs. So, now we have a plaque on the wall that affirms our organizational commitment to "innovations that benefit humanity."  1. Start from vision. Our vision is to transform how the world deals with conflict – away from adversarial, win-lose approaches to non-adversarial, win-win solutions. All that we do must be consistent – or at least not inconsistent – with our vision.  2. Be an applied visionary. We strive to be incrementally transformational. To change the world, we break down complicated tasks into finite, achievable pieces.  3. Enroll credible supporters. Because social entrepreneurs operate on the cutting edge, they often are seen as marginal. Prominent backers can be very helpful.  4. Be prepared to deal with high levels of complexity and uncertainty. When you intervene in complex systems, like international conflicts, there almost certainly will be unexpected outcomes.  5. "On s’engage; et puis on voit." As Napoléon said, you become engaged, and then you see new possibilities. This translates into recognizing that you cannot usually plan in advance the sequence to be followed or the results to be achieved.  6. Practice aikido. In the Japanese martial art of aikido, when you are attacked, you do not try to reverse your assailant’s energy flow by 180 degrees, as you would in boxing. You accept the attacker’s energy, blend with it, and divert it by 10 or 20 degrees in order to make you both safe. In our work, this means accepting a conflict as it is, while transforming it – one step at a time.  7. Make "yes-able" propositions. As Roger Fisher and Bill Ury wrote in their landmark book, Getting to Yes, everything works much better when people say "yes" to your proposals, which need to be both in their interest and in yours.  8. Display chutzpah. Chutzpah is a Yiddish word for effrontery or nerve. As Leo Rosten wrote, it is the quality "in a man who, having killed his mother and father, throws himself on the mercy of the court because he is an orphan." Still, chutzpah should be applied only in moderately pushy, culturally appropriate ways.  9. Develop good metaphors and models. Most people will not shift their attitudes and behaviors if they do not have a good idea of where they are headed. Metaphors and models – compelling stories – are crucial to reframing reality.  10. Have a high tolerance of ambiguity. If you are uncomfortable with not knowing where you are going and cannot deal well with the unexpected, you probably will not be a successful social entrepreneur.  11. Find trimtab points. On ships, the trimtab, a tiny rudder at the leverage point, is used to turn the craft with minimum effort. Similarly, social entrepreneurs need to be skilled at converting comparatively small inputs into maximum outputs.  12. Be persistent. We recommend adopting the example of the child’s toy truck that moves ahead until it hits a barrier, backs off, and then finds another path forward.  13. Apply fingerspitzengefühl. This is a German word meaning to have an intuitive sense of knowing – at the tip of your finger. Either you have it or you don’t. We encourage anyone who has written on dignity and humiliation to submit papers to our website. We encourage anyone who has written on dignity and humiliation to submit papers to our website. We receive many papers and accept most of them for publication on the website. In order to help us maintain high quality on the site we appreciate that you carefully format your papers. We accept papers in all languages, however, we only have the capability to carefully edit contributions in English at the moment. This means that the English portions of our website are held up to the highest standard. We understand that this may put many non-native speakers of English at a disadvantage. We will therefore attempt to provide assistance to non-native speakers of English who need help making their texts more readable. If your paper has already been published elsewhere need evidence of permission to publish along with your paper. When you submit your paper that is already formatted, please indicate the particular style manual you use (see for APA style, for example, www.crk.umn.edu/, or owl.english.purdue.edu/). 2. The author's name under the title, proceded by a copyright sign (©). 5. The final Word documents need to be transformed into a Pdf file (http://convert.neevia.com/). b. On the page of the relevant conference or workshop. In University of Richmond Law Review, 43, 2009, also Suffolk University Law School Research Paper No. 08-36, ssrn.com/abstract=1299176. See also his blog for the New Workplace Institute, titled "Minding the Workplace"
THE law of unintended consequences is perhaps less a "law" than a simple statement of fact: We cannot accurately predict all the results of our actions. We may do something with the best of intentions, and sometimes even accomplish the good toward which we aim. Yet, at the same time, we are all too often surprised by results that didn't occur to us beforehand. before the law's passage to nearly 300 today. Professors are stepping away from the lab and lecture hall to navigate the thicket of venture capital, business regulations and commercial competition. scrutiny by swelling ranks of critics. The primary concern is that its original intent -- to infuse the American marketplace with the fruits of academic innovation -- has also distorted the fundamental mission of universities. In the past, discovery for its own sake provided academic motivation, but today's universities function more like corporate research laboratories. Rather than freely sharing techniques and results, researchers increasingly keep new findings under wraps to maintain a competitive edge. What used to be peer-reviewed is now proprietary. "Share and share alike" has devolved into "every laboratory for itself." In trying to power the innovation economy, we have turned America's universities into cutthroat business competitors, zealously guarding the very innovations we so desperately want behind a hopelessly tangled web of patents and royalty licenses. Even before the Bayh-Dole Act, pharmaceutical companies were eagerly trolling campuses, looking for projects to finance. After the law was passed, they stepped up their efforts, but now with renewed zeal for keeping potential trade secrets from competitors. "Bayh-Dole tore down the taboos that existed against universities engaging in overtly commercial activity. Universities really thought that they were going to make it rich," said Jennifer Washburn, author of University Inc.: The Corporate Corruption of Higher Education (Basic Books, 2005). "Each school was convinced that if they came up with that one blockbuster invention, they could solve all their financial problems." Ms. Washburn says that was "extremely wrong-headed." Initially reacting to the law by slapping patents on every possible innovation, universities quickly discovered that patents were an expensive proposition. The fees and legal costs involved in obtaining a single patent can run upward of $15,000, and that doesn't count the salaries of administrative staff members. Part of the problem has been a lingering misunderstanding about where the value lies in innovation. Patenting a new basic science technique, or platform technology, puts it out of the reach of graduate students who might have made tremendous progress using it. Similarly, exclusive licensing of a discovery to a single company thwarts that innovation's use in any number of other fields. R. Stanley Williams, a nanotechnologist from Hewlett-Packard, testified to Congress in 2002 that much of the academic research to which H.P. has had difficulty gaining access could be licensed to several companies without eroding its intellectual property value. "Severe disagreements have arisen over conflicting interpretations of the Bayh-Dole Act," he said. "Large U.S.-based corporations have become so disheartened and disgusted with the situation, they are now working with foreign universities, especially the elite institutions in France, Russia and China." down the market transfer line. Several universities are already embroiled in messy lawsuits trying to sort out who is entitled to what. Perhaps the most troublesome aspect of campus commercialization is that research decisions are now being based on possible profits, not on the inherent value of knowledge. "Blue sky" research -- the kind of basic experimentation that leads to a greater understanding of how the world works -- has largely been set aside in favor of projects considered to have more immediate market potential. In academia's continuing pursuit of profit, the wonder of simple serendipitous discovery has been left on the curb. The world wide web is "still in its infancy", the web's inventor Sir Tim Berners-Lee has told BBC News... "What's exciting is that people are building new social systems, new systems of review, new systems of governance. "My hope is that those will produce... new ways of working together effectively and fairly which we can use globally to manage ourselves as a planet.".. Please read more at http://news.bbc.co.uk/go/pr/fr/-/2/hi/technology/7371660.stm. We live in a world influenced by amounts, numbers, prices, quantities, percentages, totalities. As a result, the communicative choices we make reflect such influence and our minds readily activate words and expressions as these: completely, very, a lot of, lots of, etc. Recently, I received an e-mail from a friend in which she expressed her appreciation to my by saying "a million thanks". That usage caused me to wonder what would happen if, in our communicative education, we would learn to opt for environementally-originated vocabulary. In the above example, "a million" could be replaced with what? An ocean or a sea or a forest of thanks. In such spirit, I decided to create a poster in which such ecologically-motivated ways of expression would be presented and thus make a case for what in my title I call a Nature-inspired Communicative Dignity. Readers are asked to join me by adding other examples and by discussing this dimension of communicative dignity in varied contexts, especially at school, at home, at work. Dignitism also conveys a globally shared responsibility to communicate in Nature-inspired ways for the the environmental good of all living beings. Instead of conveying "Looking forward to your many productive suggestions", how about communicating "In anticipation of your garden of fruitful ideas "? Instead of writing "The total impact of human capital will be considered", why not dignify your intended meaning and say, instead: "The sweet smell of financial flowers will be considered"? Next time you want to express an emotion, or feeling, and that intention your mind wants to quantify, re-direct your cognition and as an environment-supporting human being tell your idea: let's dignify! The salutatio this is a greeting. This is the opportunity to address the reader in a proper way. By addressing him or her properly the tone has been set for the captatio benevolentiae, catching the attention and evoking the willingness of the reader for the message of the letter. In the narratio the author tells his story, experiences, thought or ideas. In the case of the more formal letter — for example when the human resource Department replies to a request of one of the employees — this is called the expositio, the display of the issue and how the author has dealt with it. The exposition leads to the petitio, which is the request of the author to the reader. It may be that a specific action is required, but even if that is not the case it is useful to describe what one expects from the reader: understanding, agreement, confirmation, reply. The conclusio concludes the letter, usually in two steps: greeting + signature. The rule of thumb for writing letters i go to end: a good letter contains all five components in the given order. When letters are unclear, go to end this is usually due to the structure: the petitio is at the very beginning, the narratio is fragmented and the captatio is lacking. 1 Think of someone you want to write a letter to. Think about this person for a moment: where is he? What is he doing now? Can you portray him in your mind? 2 How do you want to address the reader (salutatio): formal or informal, neutral or personal? The way of addressing is the first — and therefore important — step in catching the attention and evoking the willingness of the reader. 3 Ask yourself what is most interesting for the reader to read first (captatio benevolentiae). What will make the reader anxious to read on and open up himself for your content: an experience, a shared memory, a new idea, a proposal, etc.? Align the words and tone in the captatio with the message (narratio) and your request (petitio). 4 Now you can start your story (narratio, expositio). What is it that you want to still? Be brief and make sure that what you want to say has a clear structure. 5 In connection with your story to make clear what your request is (petitio). What can you improve, given these criteria? 7 Write the final text of the letter and choose your conclusio: greeting + signature. Make sure that the words of the greeting fit to the previous part of the letter. 8 Reflect upon the letter writing. What has become clear(er) to yourself by writing this letter? We thank Karen Hirsch for making us aware of these guidelines. Out of this darkness a new world can arise, not to be constructed by our minds so much as to emerge from our dreams. Even though we cannot see clearly how it’s going to turn out, we are still called to let the future into our imagination. We will never be able to build what we have not first cherished in our hearts. Many people don’t get involved in the Great Turning because there are so many different issues, which seem to compete with each other. Shall I save the whales or help battered children? The truth is that all aspects of the current crisis reflect the same mistake, setting ourselves apart and using others for our gain. So to heal one aspect helps the others to heal as well. Just find what you love to work on and take joy in that. Never try to do it alone. Link up with others; you’ll spark each others’ ideas and sustain each others’ energy. Since every particle in your body goes back to the first flaring forth of space and time, you’re really as old as the universe. So when you are lobbying at your congressperson’s office, or visiting your local utility, or testifying at a hearing on nuclear waste, or standing up to protect an old grove of redwoods, you are doing that not out of some personal whim, but in the full authority of your 15 billion years.